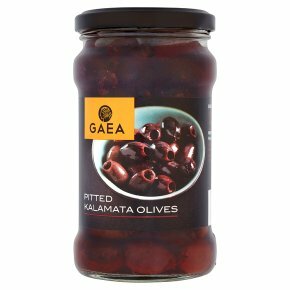 Gaea Pitted Kalamata Olives come from the famous Kalamata region of Greece and are plump, fleshy and full of flavour. Eat on their own or add to casseroles and salads. Meze-fingerfood and appetizers to savour and share from the Greek Mediterranean table. PRODUCT MAY CONTAIN OLIVE STONES (WHOLE OR FRAGMENTS).